you work for (or own). This is fabulous 11-minute presentation, by Sir Kenneth Robinson, on the need for our educational system to change its paradigm. Ken notes some great research, towards the end of the video, about the difference between divergent thinking and creativity. Thanks to David Passes for the heads up. Does This Blog Posting Belong Here? 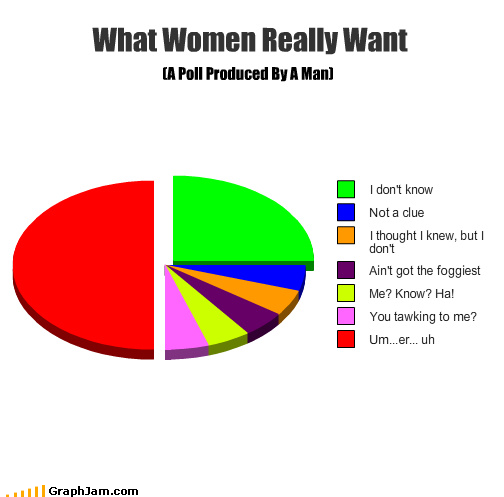 I'm not sure what this pie graph has to do with this blog, but so what. YOU might make the connection. Of course, it's always possible that there is no connection. Oh well, at least you might get a chuckle or two out of it -- and we all know there is definitely a relationship between humor, play, and creativity, eh? Hey, if nothing else, it's a way you can find out about Free the Genie, our newly launched, online brainstorming tool. Idea Champions is pleased to announce the results of our 10 year, longitudinal research project. More than 750,000 people were surveyed. Or maybe it was 7. We're not totally sure. *Ummm.... this is a parody, folks! I had to add this postscript as soon as I saw readers quoting the results of this poll on Twitter. Bad coffee? Stranger than fiction. Here is a wonderful article by Rupert Cornwell on American's obsession with statistics -- or what Charles Seife, NYU Professor, has deftly named "proofiness" -- "the art of using bogus mathematical arguments to prove something that you know in your heart is true -- even when it's not." Charles and Rupert are in good company. 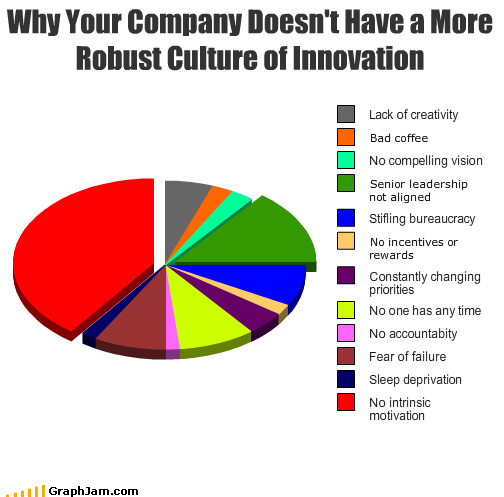 Approximately 9 out of 10 innovation consultants would agree. So did Albert Einstein several years ago when he proclaimed: "Not everything that counts can be counted; and not everything that can be counted counts." 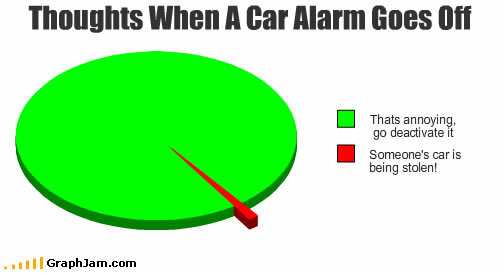 Ever hear a car alarm go off and had the same reaction as the "green people" below? Well... now's your chance to think of a better solution. The person who submits the coolest idea to Idea Champions by October 31st will receive a lifetime subscription to our new online, Free the Genie brainstorming tool. Go for it! PS: If you're stuck for an idea, click here. It's Time to Go For It! You need a breakthrough. I know you do. You need a quantum leap. Forget about incremental improvement for the moment. Go for something big and bold. (The card to your left is from our Free the Genie deck. For a 15-day free trial of the online version, click here. In 1989, Gary Kasparov, the Soviet Union Grand Chess Master, played a two game match against "Deep Blue," the reigning supercomputer of the time. Kasparov won easily. When asked by the media what his competitive advantage was, he cited two things: intuition and the ability to fantasize. Few of us, in the workplace, are ever encouraged to fantasize -- a behavior most commonly associated with children, slackers, and flakes. 1. Make a wish for the successful resolution of your challenge (i.e. "I wish I had more time"). 2. Extend your wish by making a wild wish (i.e. "I wish I didn"t have to work my regular job"). 3. 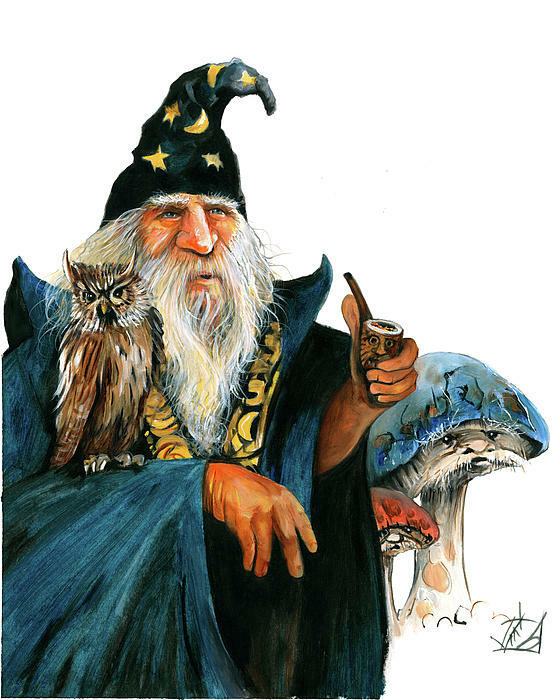 Extend your wild wish by thinking of a fantasy solution -- a seemingly impossible way to get a result (i.e. "a fairy godmother shows up at midnight to do my work"). 4. Distill your fantasy solution down to a core principle (i.e. "I get more help" or "I outsource my responsibilities"). 5. Using this principle as a clue, generate at least five new ideas for the successful resolution of your challenge. One of the biggest obstacles to innovation in most organizations is the addiction to short-term results. Hustling, speed, and fire fighting rule the day -- resulting in the kind of over-caffeinated efforts that make everyone cranky. Focusing on your next quarter, of course, is a necessary part of business. But not to the exclusion of the long-term. Someone's got to focus on projects that won't see the light of day for tree years... or five .... or ten. If you are serious about innovation, you will need to develop an Innovation Portfolio, one that includes short-term, mid-term, and long-term goals. Innovation doesn't happen quickly. It takes time. If you plant an apple seed today, you're not going to get an apple harvest tomorrow... or next week... or next year. Pulling on the seedling or yelling at the tree to deliver apples faster isn't going to work. 1. Define "short-term," "mid-term," and "long-term." 3. Jot down projects that fit into these three "time horizons." 4. Present this list to your team and get their feedback. 5. Tweak the list as needed. So there are these three yogis meditating in a cave. They've been there ten years -- in silence the entire time. One day, in the tenth year of their retreat, an albino mountain lion makes his way to the mouth of the cave and lets out an earth-shattering roar. The first yogi says "WOW!" The second yogi, says, "Yeah, I know what you mean." "HEY! If you guys don't shut up," says the third yogi, "I'm moving to another cave."